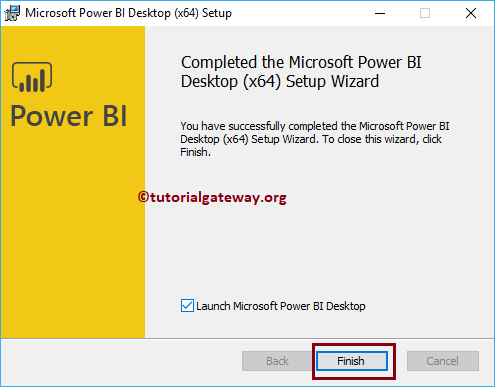 In this article, we will show you, How to Download and Install Power BI Desktop with screenshots. 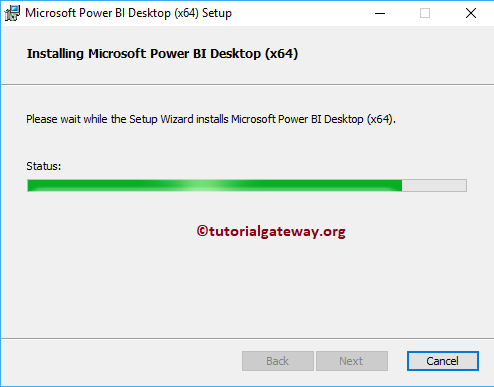 Following are the steps involved in download and installing Power BI Desktop. 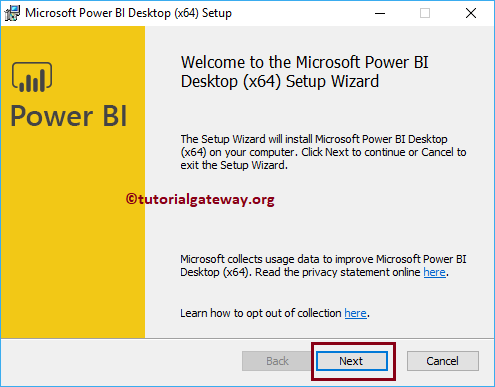 Power BI Desktop is a Free windows based application. You can use this Desktop to Shape the data in a proper format, and to design reports as per the requirements. 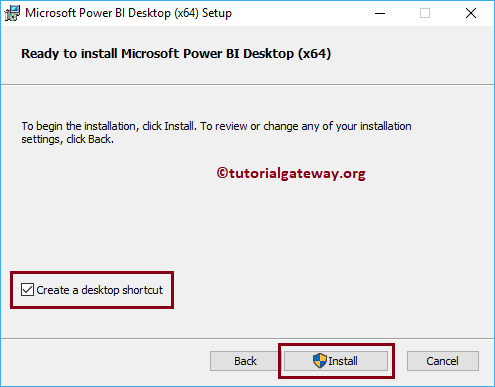 In order to download Power BI Desktop, first Go to the official tableau website by clicking this link Download Link. 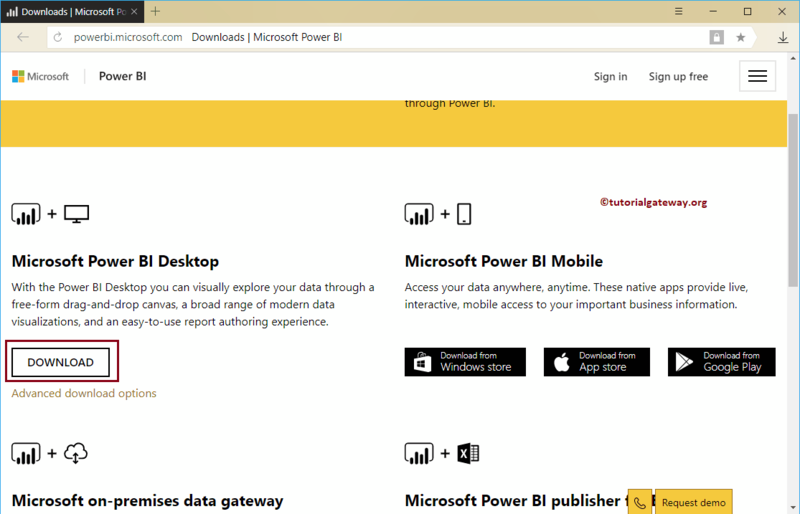 TIP: You need Power BI Pro access to publish the report, and sharing them. Below screenshot will show you the Downloads page. Either you can click the Download button, or you can click the hyperlink of Advanced Download Options. 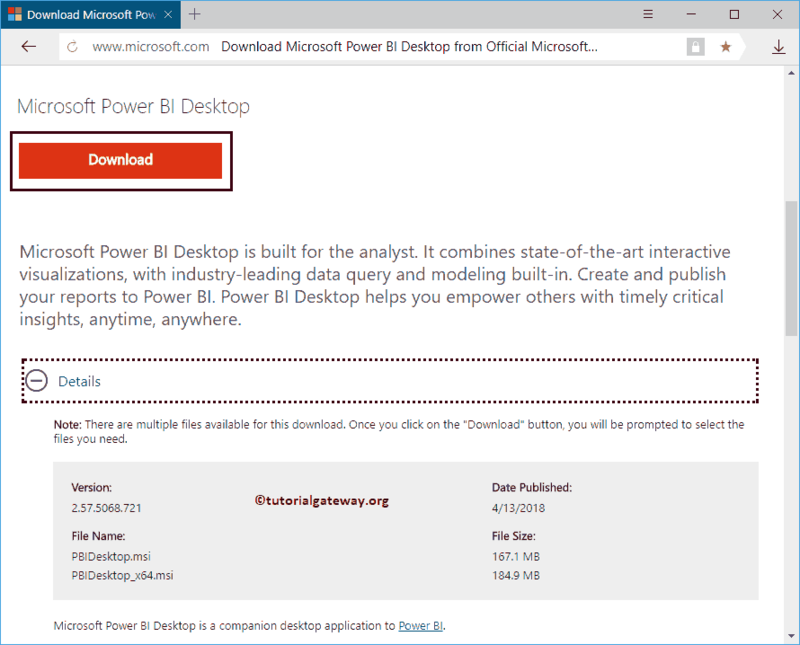 Clicking the Advanced Download Options will take you to Microsoft website. 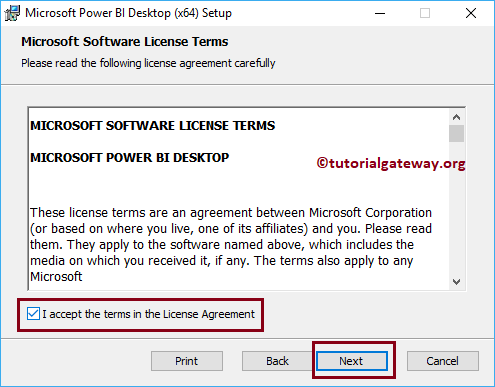 Here, you can read the Installation steps, software and hardware requirements. 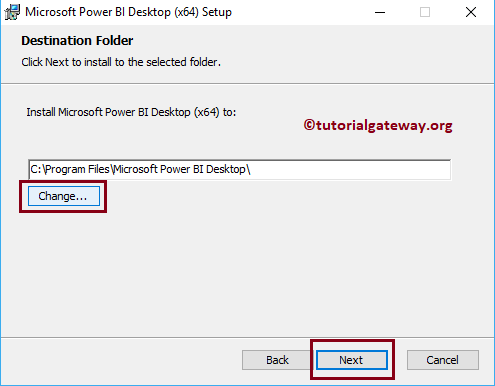 To install Power BI desktop, Please navigate your file system to the Power BI Software that we downloaded previously. Next, click on the application. Select the location at where you want to install this application. 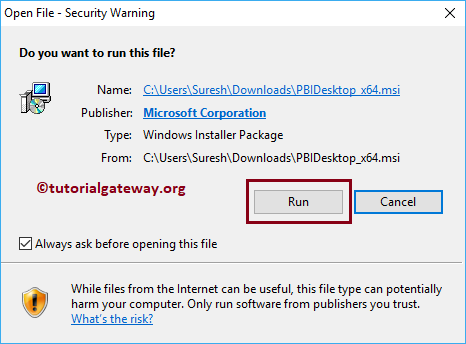 Here, either you can leave the default C location, or use Change button to alter the installation directory. 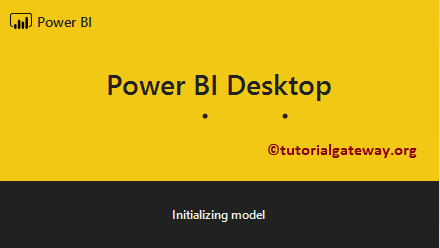 Wait till the Power BI Desktop initialize the desktop features. 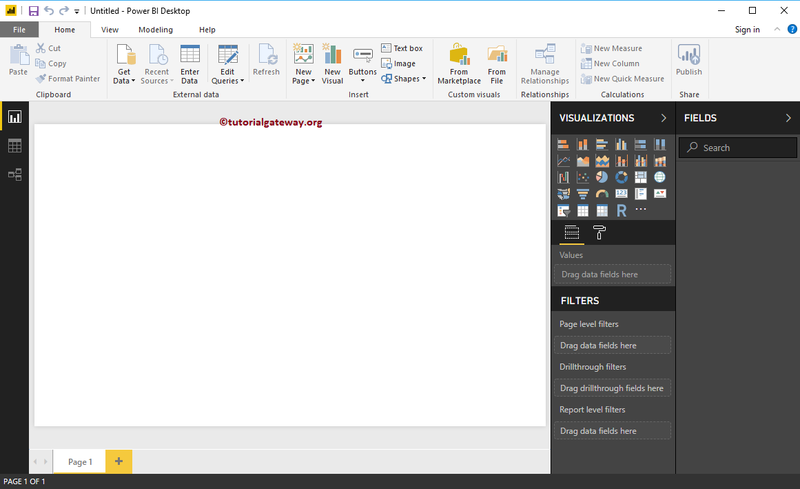 This is the Power Bi Desktop where we load data from different sources, design reports, and publish them.